The Austin (Minn.) Plant of Hormel Foods Corporation (NYSE: HRL), has donated $4,000 to The Salvation Army, $4,000 to Meals on Wheels, and $2,000 to the Women’s Leadership Initiative to help fund the weekend food backpack program. For the sixth consecutive year, Hormel Foods is giving funds to U.S. manufacturing facilities to share with nonprofits in their respective communities to fight hunger. 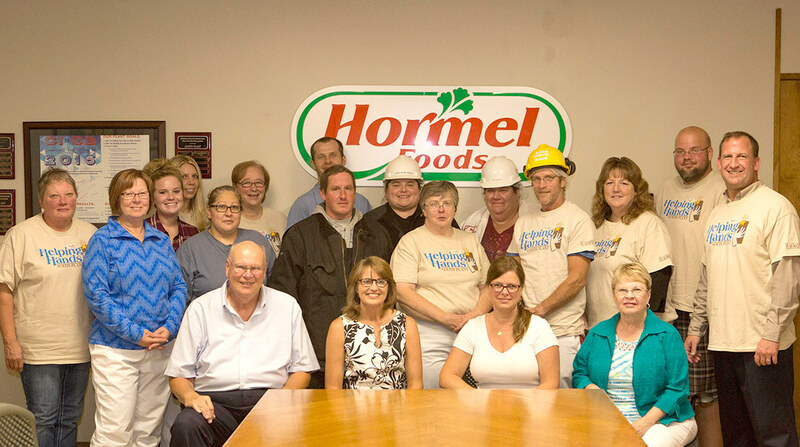 In 2015, Hormel Foods donated $400,000 to local hunger relief organizations in 40 U.S. communities where it has manufacturing facilities, bringing the program’s total contribution to local hunger relief efforts to more than $1 million thus far. In 2016, the company is providing plant locations with funds to continue the program. Hormel Foods Donation Helps Fight Hunger in Beloit The Beloit (Wis.) Plant donated $10,000 to Beloit Meals on Wheels to help fight hunger in the Beloit community.